Golf Channel and Virtual Green announced today a new partnership that will integrate Virtual Green’s indoor golf technology into Golf Channel’s studio shows – including news, lifestyle and instruction programming. Golf Channel’s on-air talent and team of instructors will utilize proprietary undulating putting surfaces within the network’s studio programming. Virtual Green is the latest addition to Golf Channel’s arsenal of in-studio technology. 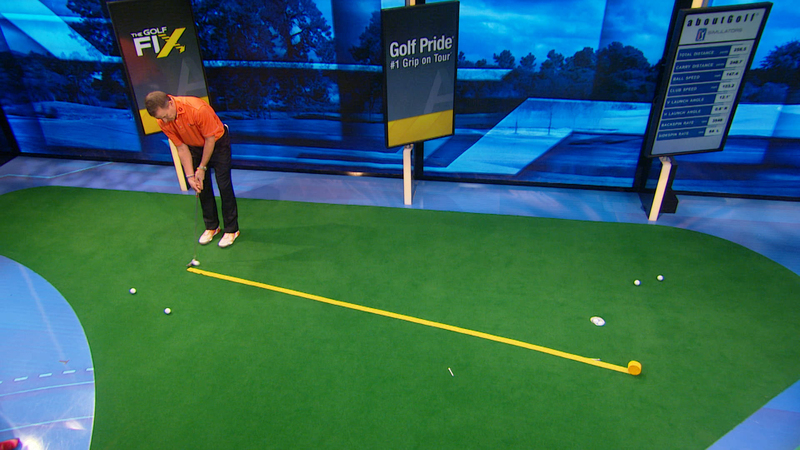 The new putting green in “Studio A” – Golf Channel’s main studio – can create multiple breaks on the same putting surface, mimicking breaks on different greens and side hill and uphill lies, revolutionizing the realism of indoor putting. It’s important to note that, despite its name, the technology does not involve adding virtual or augmented reality components to programming — instead it’s a physical surface that can change dynamically to imitate various putting conditions. “Virtual Green’s putting green technology gives our on-air talent and our team of instructors a fresh and new dynamic for in-studio instructional content,” said Kevin Schultz, Golf Channel senior director of lifestyle content and instruction, in a statement. “Golf Channel utilizes cutting edge technology on set and we are thrilled to be joining them in-studio with our latest technology,” stated Ryan Dotters CEO, Full Swing Technologies. “Like ourselves, Golf Channel is always looking for ways to improve their viewer experience and I know our Virtual Green will help do just that,” added Dotters. The indoor putting surface will be featured in Golf Channel’s main studio – Studio A – and appearing on studio shows including “Morning Drive,” “The Golf Fix” and “School of Golf.” The technology also will be integrated into Golf Channel Digital’s vast library of instruction programming on GolfChannel.com and the Golf Channel Academy app.